Breezway’s new Altair Dualair Component System has been carefully designed to deliver a high performance dual glazed louvre system to the commercial market. The Altair Dualair Louvre Component System is a secondary glazed unit with sophisticated aesthetics and reduced installation costs making it ideal for apartment or school projects, particularly those with high Rw or low U-value requirements. Significantly improved water penetration resistance. Up to 620Pa Water Penetration Resistance at floor to ceiling window sizes. Maximum ventilation to keep building occupants comfortable all year round. Single window unit gives better aesthetics. Using aluminium or patterned blades can create a decorative effect to the building facade. Secondary glazing within a single frame results in a single installation occasion. Excellent sound acoustics to reduce outdoor noise – Rw ratings up to 35. 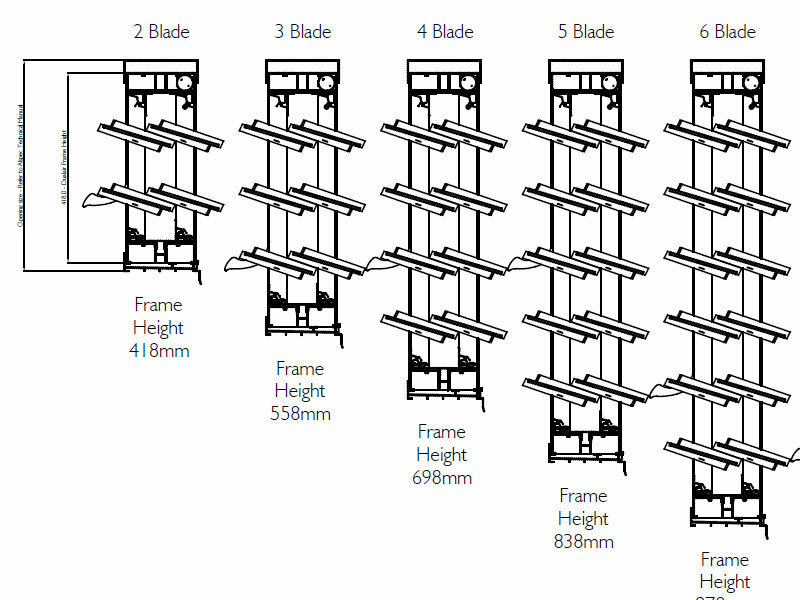 U-values ranging from 2.4 to 3.3 give comparable performance to double glazed windows with thermally broken frames. Use aluminium or patterned glass blades on outer blades to provide shading and privacy. Online viewing of 3D models is a relatively new technology. Please note the models shown below are rendered animations only. For more technical detail please view the CAD and BIM model section below. Viewing 3D models requires a fast internet connection and reasonably high speed computer processor. Viewing may not be possible on some older computers. We recommend Google Chrome for the best viewing results. NOTE: Whenever you see this symbol click on an illustration to view a 3D interactive version. Rotate the model by using your left mouse button or pan the model by using your right mouse button. Use your mouse wheel to zoom. Please note this is a rendered model only. For more technical detail please see the CAD and BIM Model section below. A number of tests have been completed for the Dualair System with more to come in the near future. We recommend re-visiting this webpage frequently to view the latest results as they become available. Dualair System in Alspec McArthur Evo 150mm Framing. Dualair System in Alspec Hunter Evo 150mm Framing. Dualair System in Alspec McArthur Evo 150mm Framing or Alspec Hunter EVO 150mm Framing. If higher sound performance is required please contact Breezway on 1800 777 758. 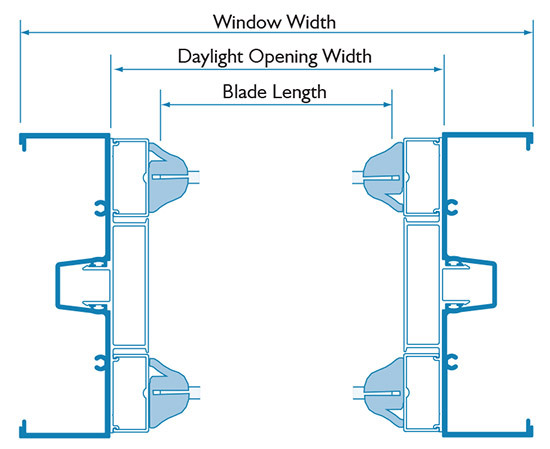 While the Altair Dualair Component System is available in all of the standard heights noted, the wind and water rating for the building project will affect the maximum allowable window height and bay width. Please refer to the Altair Product Performance Warranty for technical information. For Altair Dualair Louvre Gallery standard heights please see the size chart on the right. Off Standard heights and 102mm heights are not available. There are no standard Altair Louvre widths. The Dualair System is only supplied as a component system for single bays however the bay width may be affected by Building code rules. Please discuss with your Breezway Dealer and builder. 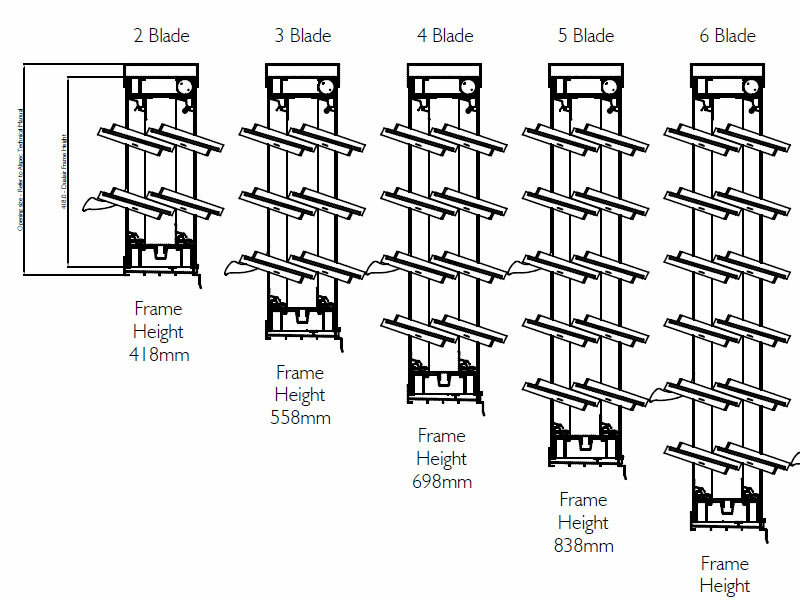 The sizes in the table above are frame sizes only. Breezway offers a collection of CAD drawings for the complete Altair Dualair Component System product range. For animated renders, please see the 3D Model section above. You can download all CAD files in this section here Altair Dualair Component System CAD Drawings or the individual files below. 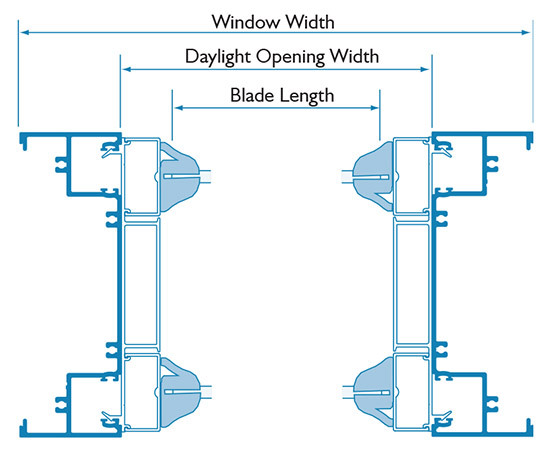 For allowable length of blades refer to AS1288 and Breezway Louvre Windows PRODUCT PERFORMANCE WARRANTY. The Dualair Component System can be configured under a single product code which ensures you include all components necessary for the system and allows you to carry forward configurations that are common to all items. For quote and order forms, please visit the Purchasing page. The louvre windows shall be Breezway Altair Dualair Secondary Glazed Louvre Windows. Altair Louvres in a secondary glazing configuration within 150mm commercial glazing. Minimum acoustic rating of R’w.35. Maximum U-value of 3.8 W/m2.K. Optional pressure equalising design and patented drainage channels for superior water performance. Low profile keylock with lock barrel housed inside the louvre channel. Passed testing to 15,000 lock/unlock cycles for long operational life. Altair Dualair Louvres have passed AS2047 testing at 17 blades high. Powerlouvre motors are fully concealed within the head of the frame. Pinned design that mechanically retains blades within the clips to prevent blade dislodgement under human impact (optional with the Stronghold System). Custom designed for the Alspec McArthur EVO 150mm Centre Pocket frame and the Alspec Hunter EVO Acoustic 150mm frame.